Though the Ministry of Communications has come out to deny allegations concerning a Ford Expedition that was presented as a ‘gift’ to President John Dramani Mahama, some Ghanaians on social media are still not satisfied with the response. A Burkinabe contractor, Djibril Kanazoe, recently revealed he gave president John Mahama luxury vehicle as a gift in 2012. This caused a stir in the political arena and since the Ghanaian constitution doesn’t permit, it has topped headlines for days. Here are some reactions from social media users. Read and share your views with us. The best bribe collector of all time. President Mahama He is the only one who can turn bribe into gift. Wales appear to have gone to sleep…. Mahama’s Ford is a bribe…. Eeii so Mahama has taken bribe before?? The Morning after #Mahama #bribe scandal broke! 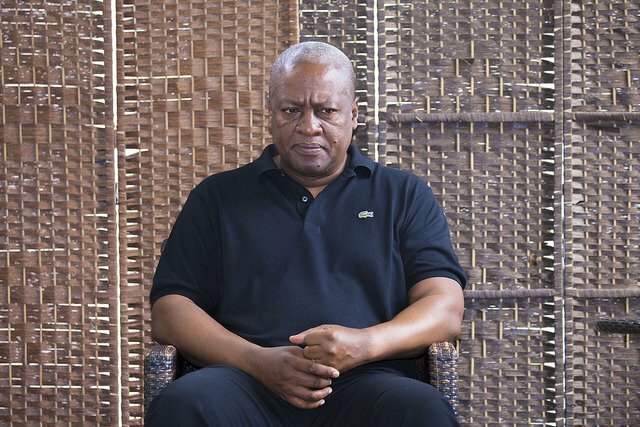 #joysms So president John mahama Ford tool the bribe as President or as a dead goat? Mr. President, have you taken bribe before?